Richbourg, Rick (Richard P.), guitarist, jazz composer; b. Pensacola, FL, April 12, 1955. Rick is married to Jeanne Varley Richbourg and now resides in Orlando FL, the rest of his family still lives in Pensacola. His father (born Earl Wayne Richbourg, 1924) is an avid had jazz enthusiast and mother (born Mary Alyce McNabb,1932-1992) was a former tap and jazz-dance instructor. Rick had piano lessons from age 10-11 and began playing drums in the junior high school marching band. Rick continued to play drums and percussion in both the high school Marching and Concert bands. He studied music theory in John B. Eddy in 1971 and then taught himself how to play the guitar. By 1972 he played guitar in the Jazz ensemble at Woodham High School. After studying jazz guitar privately with Frank Montenero, be began performing supper-club, jazz and rock gigs locally. In 1975, Rick enrolled in the Music Department at Pensacola Junior College, where in 1976 he respected Dr. Robert Whitmore’s suggestion to attended Berklee. He graduated Berklee College of Music 1978 where he earned a BA in Composition. In addition to his jazz fusion compositions, Rick has also written traditional music pieces including: a Symphonic Tone Poem for full Orchestra, a Piano Sonata and works in smaller forms. Since the late 1970’s Rick has instructed college bound students in both jazz guitar and music theory. Rick has remained active as a guitarist, arranger and as a composer. He has performed as both a sideman and group leader and in a variety of styles- including Musical Director for Johnny Thunder, sideman for numerous fifties acts and featured guitarist in the national touring act Sporty. 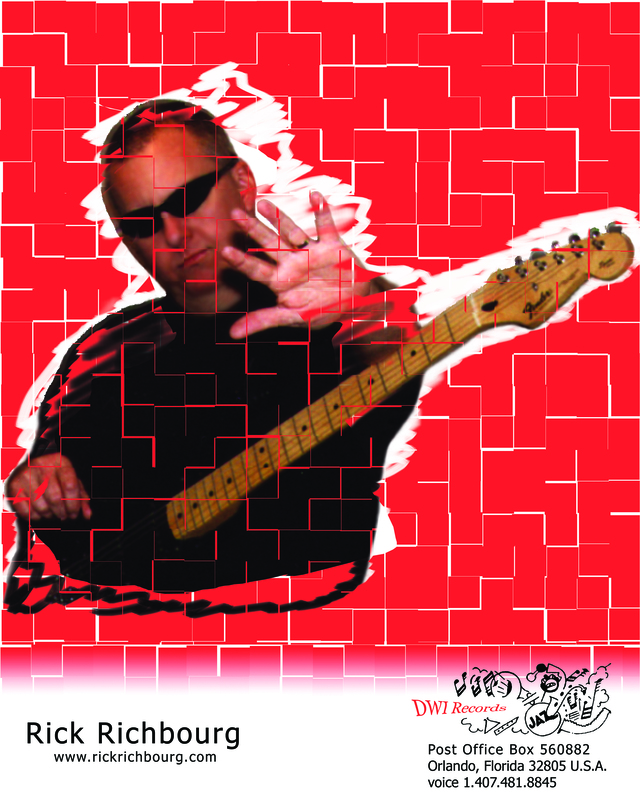 Rick has performed in jazz and rock clubs throughout the United States and overseas. Currently, Rick is playing guitar with the Funkiest Band in Florida ‘Groove Therapy’ and has just returned from the Dominican Republic as part of the musical talent for the Praise and Worship Team of the Gathering. Prior to that he was on tour with the Mantovani Orchestra for the 2012/2013 China tour. — Countless hours of guitar tracks for jingles and local commercials. — About 10 hours of private tapes for various fledgling recording artists 1978-1979. — About 12 uninsured tape recordings for now defunct record label circa 1974 – 1978. Began piano lessons at age 10, played drums in the marching band throughout Junior high and High School. Switched to guitar at 16.Graduated Berklee College of Music – Bachelor of Music – Composition, Studio Guitarist, Musical Director for Johnny Thunder, Performed in numerous local, regional and national road bands. Just completed and released a new audio CD titled “Life is for the Living”. An advanced release of the tune titled “0911101” spent 28 days as #1 on the jazz charts at SoundClick.com (October 2001). 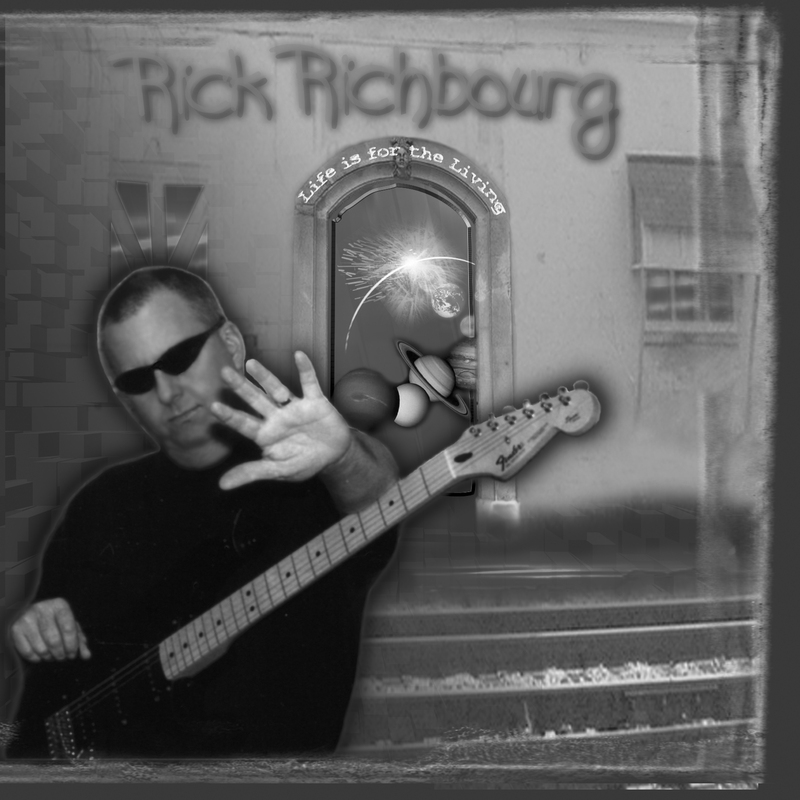 Rick Richbourg a Jazz Fusion guitarist and composer, is a bona fide Florida native, hailing from Orlando. While others have likened his compositions to ‘Pat Metheny meets Mahavishnu’ or ‘Joe Satriani jams with George Benson’ Rick says, “I just write what I’m hearing these days.” Rick is fusing musical influences from Weather Report to Creed, and views this as the continuing evolution of the Jazz Fusion movement started by Miles. Rick has just released a new CD of all original material titled “Life is for the Living”. Since he played all the instruments (and did all of the programming), he is now rehearsing a ‘new’ group composed of former band mates Steve Baker on Bass and Clay Bourgeois on Drums to perform the material “live”. In addition, Rick is returning to the studio to begin work on a follow-up CD titled “What you think – you are!”. Rick is a graduate of Berklee College of Music with a degree in Composition. In addition to his jazz tunes, he has written pieces for full Orchestra, a piano sonata and works in smaller forms. Like many “kids” he started with the ‘mandated’ piano lessons. He quickly switched to drums and played snare drum in the marching band throughout Junior and Senior High School. Guitar became his primary instrument while attempting to ‘hear’ lessons for his High School music theory classes. At that time “guitar was way more cool than piano”; Rick said with a wry grin. Rick gigged at night and worked on a garbage truck as a “litter-getter” to help pay his way through College. Since that time he has performed all over the North America. 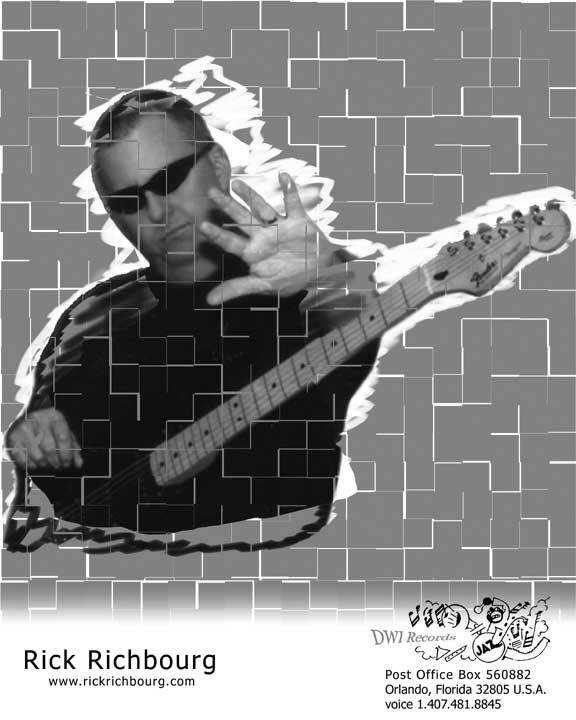 He has extensive experience as a studio musician, music educator, and guitar instructor. Rick says; “Life itself provides the most precious and poignant lessons. Hearing those lessons has provided the impetus for my CD ‘Life is for the Living! '” Rick’s guitar oriented instrumentals are an eclectic integration of “post Be-Bop Jazz”, Hip-Hop grooves and Alternative Rock. A tasty musical gumbo – served up as an alternative to ‘Alternative Music’.